The mission of Team Kalahari is to bring you wholesome, authentic, tasty foods and flavors that will not only nourish your body, but will also tickle your palate and leave you wanting more. You can be reassured that in order to bring you the healthiest selections, we support Minnesota-grown products, as we start first with searching local gardens and markets in our quest for prime ingredients. It all started with a dream and a passion for food. “Our families come from Ghana, West Africa; and we have lived on three continents: Africa, Europe and now North America. Chef Isaac has been in the food business from his childhood, learning first from his mother, Martha, about different foods and the way they promote healing and health. Martha was known in her village as a healer, using herbs, spices, dried fruits, and vegetables as healing elements in the body. Isaac learned marvelous things about using these spices and flavorings from her priceless legacy of tried and true wisdom, delivered with a caring heart. 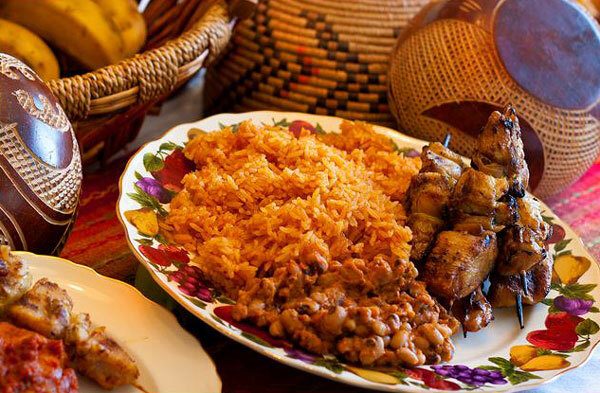 He always uses foods for health and healing, and is pleased to bring you authentic African recipes that have survived in his family for generations. Kalahari Foods, MN began in 2007 in Brooklyn Park, Minnesota, and was born out of our love for cooking, using authentic flavors that spoke of our homeland. What started out as a way to bring our friends and neighbors together around food has turned into a premier source of exquisite, delicious authentic food in this area. Today, we continue to gather diverse groups of people together around authentic flavors of our heritage and those from other parts of the globe. SALG aims to improve the quality of education in Africa through provision of literacy materials that enable students to acquire knowledge and achieve their potential. The poorest performing schools in Ghana will be equipped with books and educational materials. SALG intends to extend their reach to equip community libraries with books and internet access, to serve as hubs of learning and enterprise in the poorest communities. This is made possible through a partnership with Books for Africa. Learn more about SALG at www.globalhz.org. 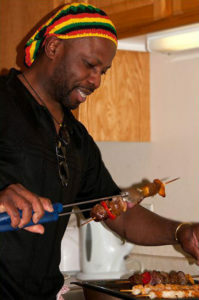 Isaac Owens is Executive Chef and creator of Kalahari’s exquisite menus using historic, delicious recipes. Rosemond (Rosie) is Kalahari's Marketing Manager, and they love to tell their story. Sarah is the official photographer who takes stunning photos of everything and anything. Kalahari foods will be introducing their new popup restaurants in 2017.